The FMC Stencils are templates and extensions to existing general purpose drawing applications like Visio or OpenOffice Drawing. 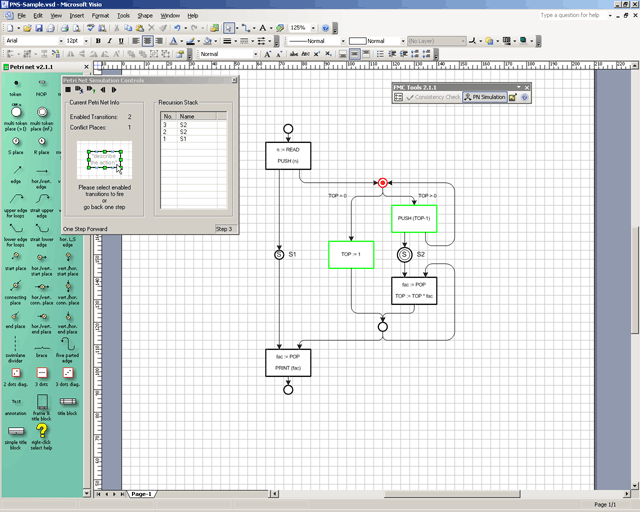 This offers basic tool support for creating Fundamental Modeling Concpets (FMC) diagrams like Block diagrams, Petri nets and Entity-Relation diagrams (ERD). 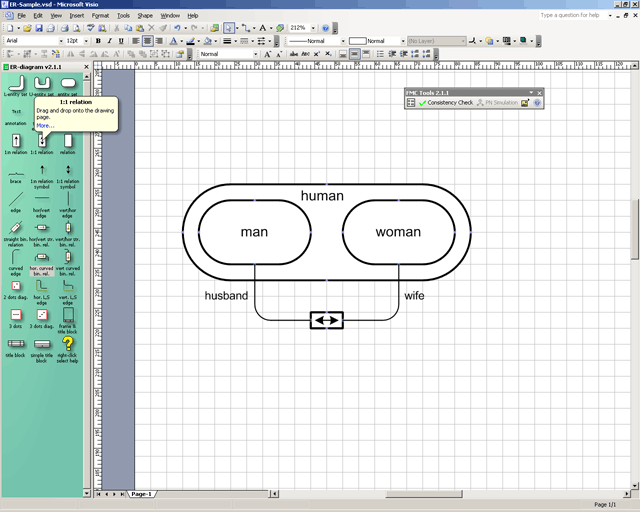 The FMC Stencils for Visio 5 and OpenOffice are very basic. That's why the FMC Visio Stencils for Visio 2000 and newer are recommended as they offer the most features and get maintained. 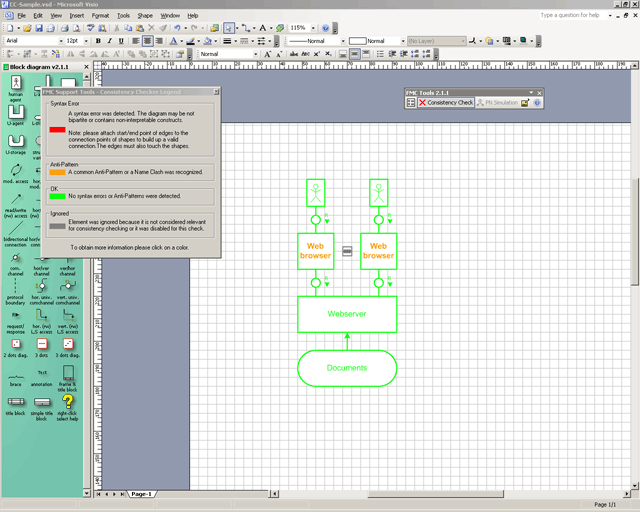 The development of the FMC Visio Stencils can also be followed at SourceForge. There are some known issues with newer Visio installations addressed in this 2.1.2 light version. Close all certifiacte dialogs by choosing "Ok"
Check "Always trust macros from this publisher"
Help for the FMC Visio stencils is included in the bundle for Visio 2000 or higher but is also available online. You can view the FMC stencils help here. Please use the sourceforge.net project website in case of bugs, feature requests and further information.